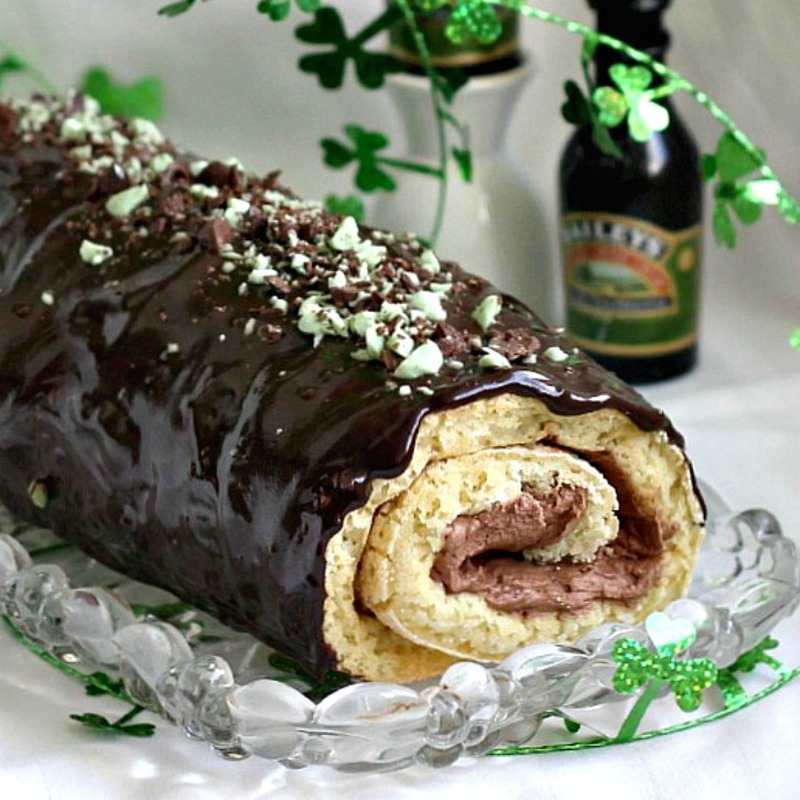 Wow everyone with chocolate ganache covered jelly roll cake filled with more chocolate. 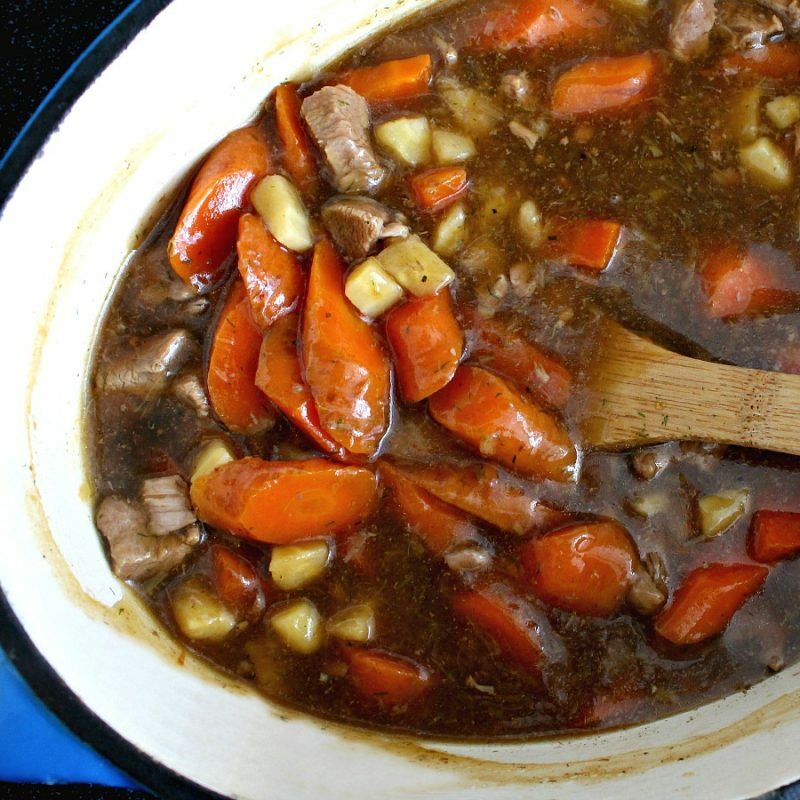 Warm your tummy with a bowl of tender lamb, carrots and potatoes in a rich gravy. 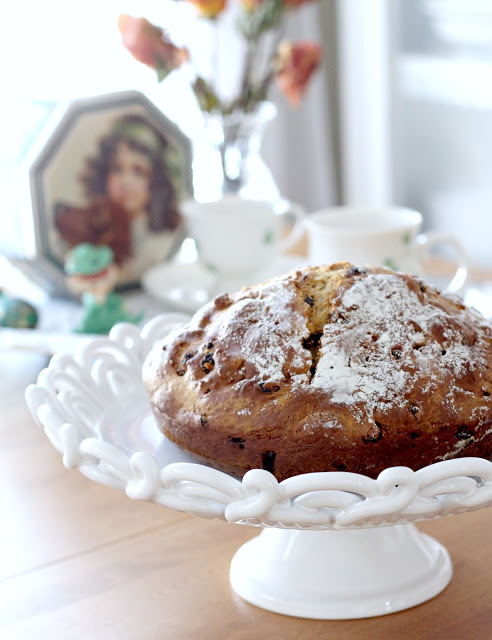 It just wouldn’t be St Patrick’s Day without a most special loaf of Irish Soda Bread. Slice it, butter it, toast it and enjoy any way you like! 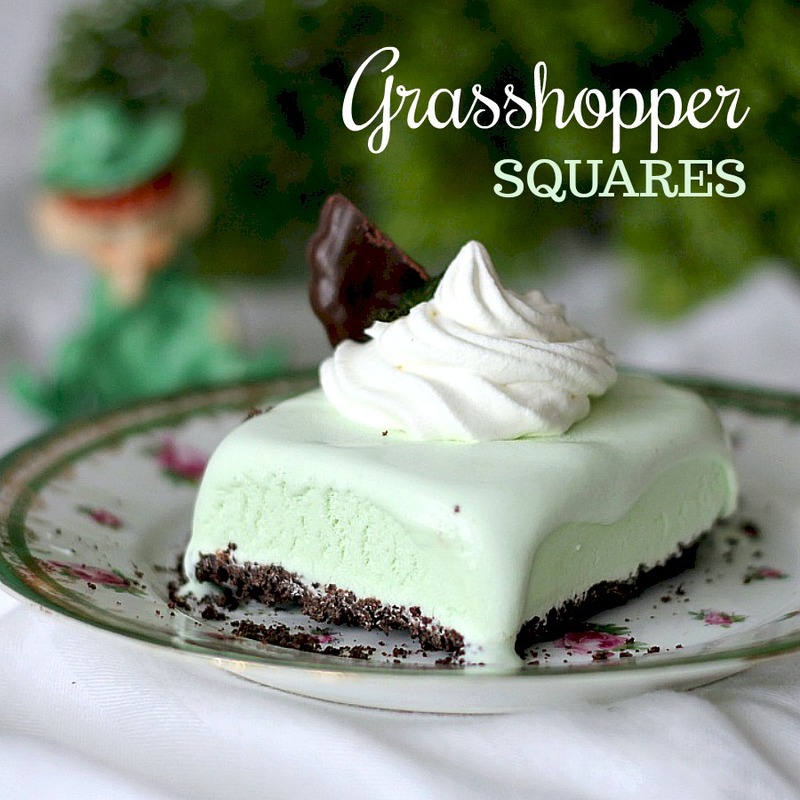 A great make ahead dessert that is cool, minty on a cookie crumb crust. Made with a cookie press and sprinkled with colored sugar. Even better when dipped in melted chocolate! A frozen, layered pie of ice cream and chocolaty mousse. 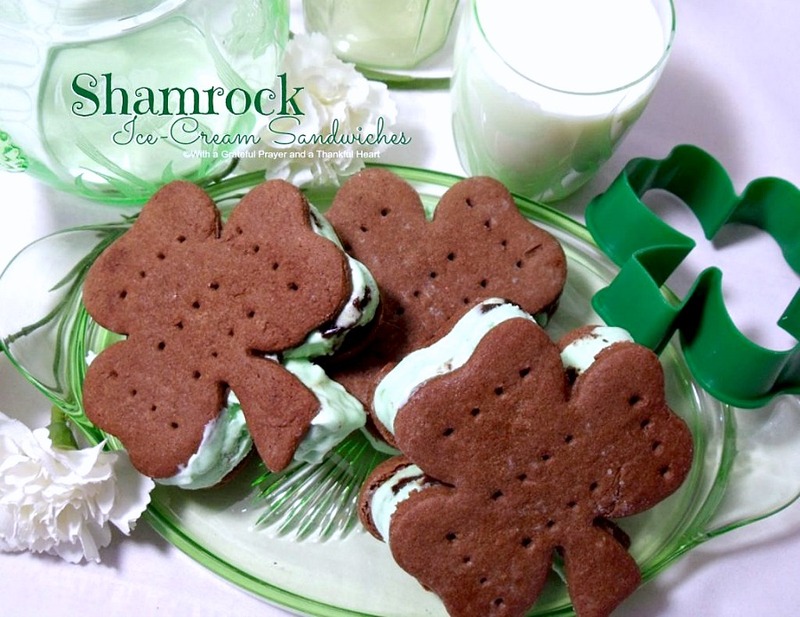 These ice cream filled cookies are a great treat for your little leprechauns. 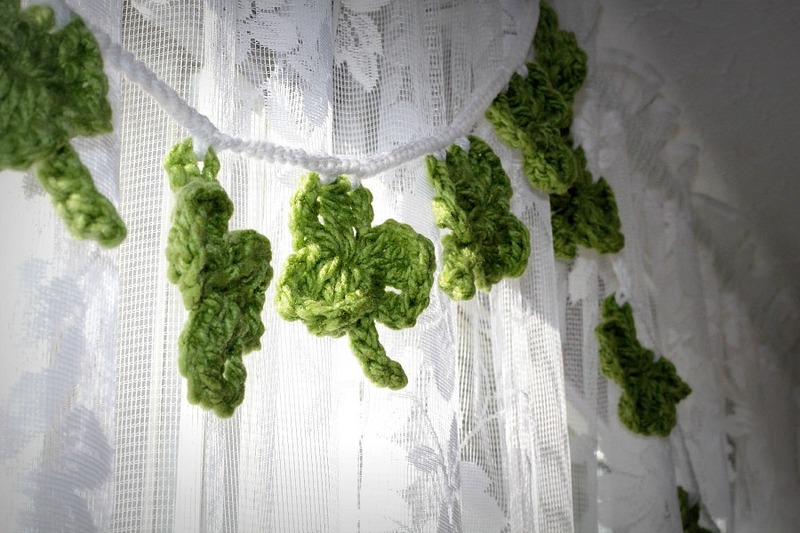 Make your own minty shamrock milkshakes. 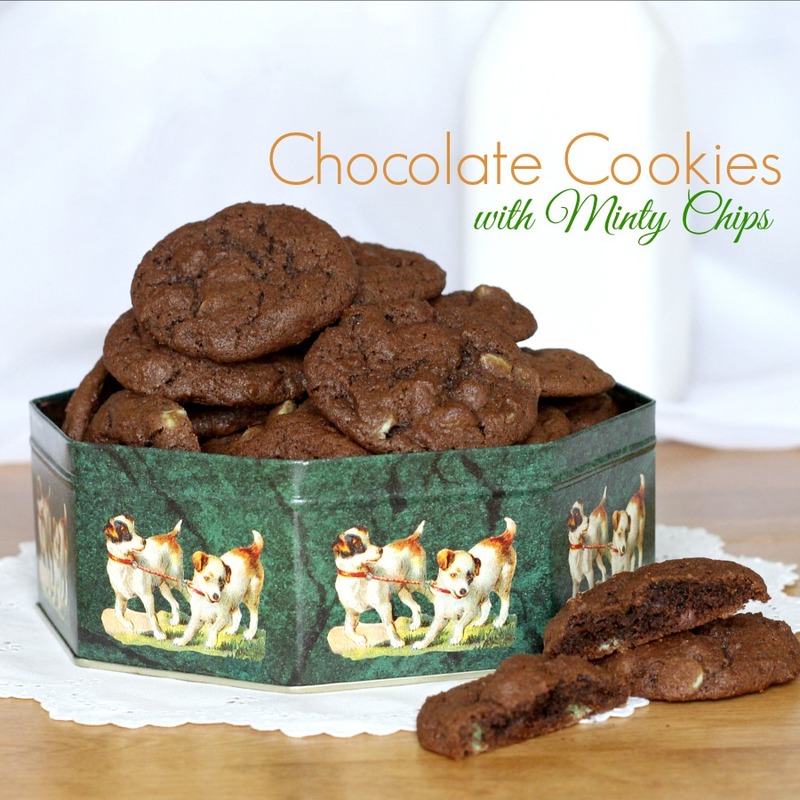 Can’t resist chocolate cookies with minty chips in every bite. 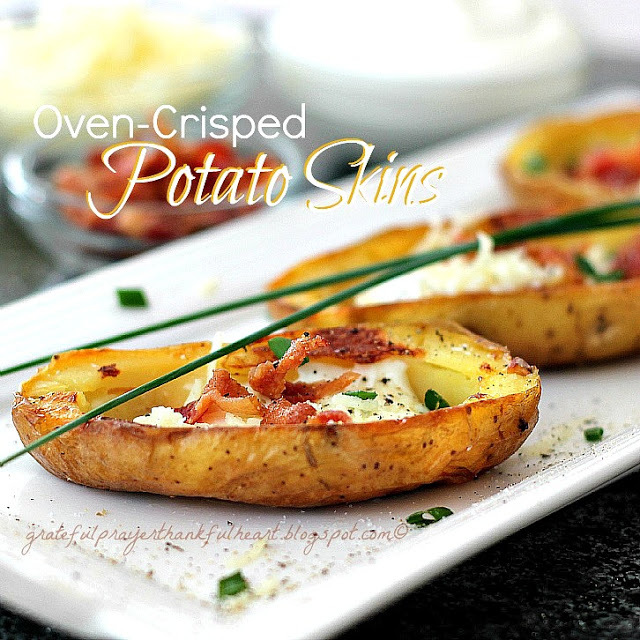 Crispy Potato Skins are great for any occasion. Top with bacon and snipped chives and a dollop of sour cream if you like. 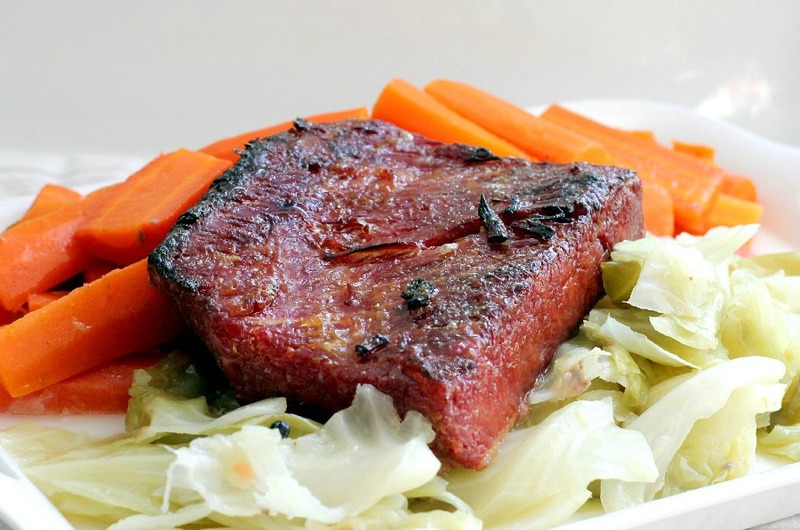 It is the mustard glaze that takes corned beef brisket to another level. 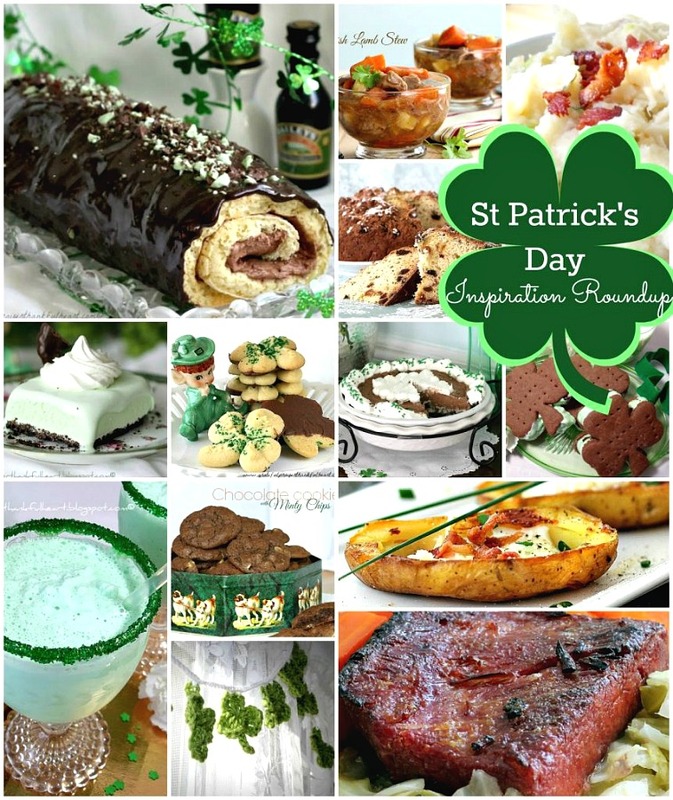 What a great round up of ideas and recipes for St. Patrick's Day, Lorraine! 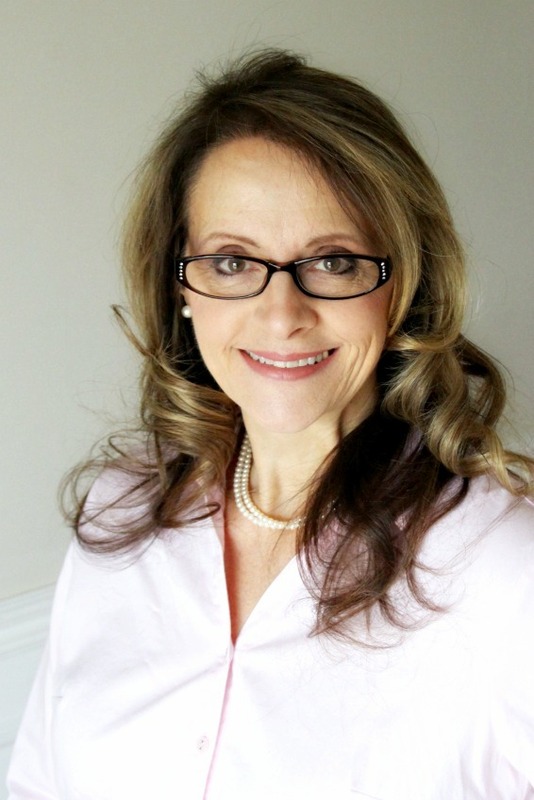 Oh my word ~ I've just gained 15 lbs! So many wonderful dishes ~ thank you! You always share the best recipes. I pinned the corn beef recipe as the broiling at the end sounds delicious. Everything looks so good and I always enjoy seeing the Shamrock Milkshake mustaches!